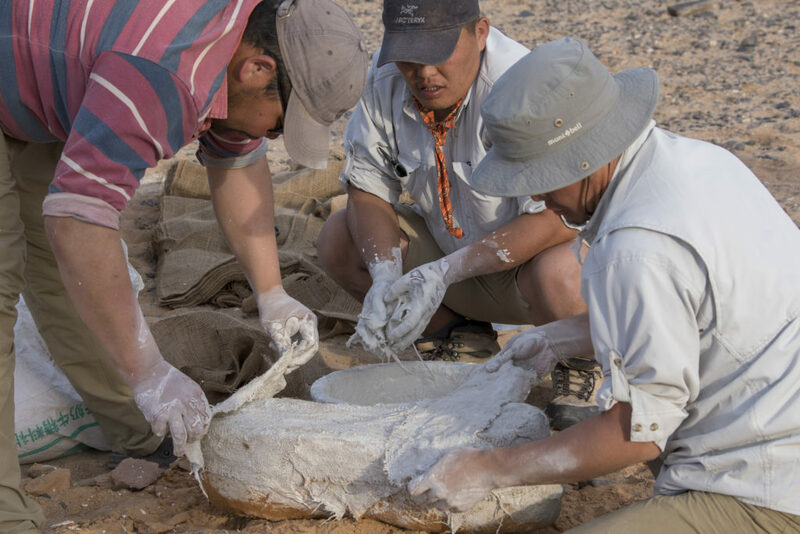 An expedition on Earth, using tools designed for Mars, uncovers unknown dinosaurs in the Gobi desert in Mongolia. 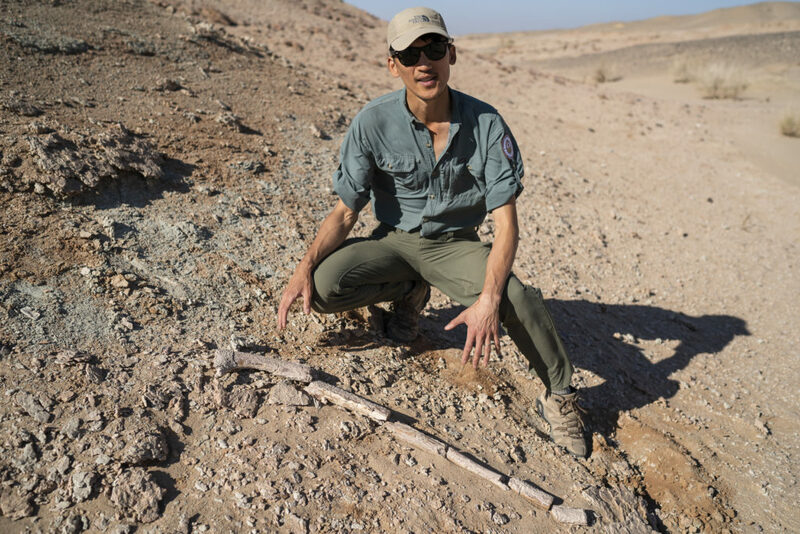 Adventurer and explorer Matt Prior just got back from a challenging expedition in the Gobi desert where he and a team of international and Mongolian explorers and paleontologists were searching for dinosaur fossils. The Mongolian desert is one of the most challenging landscapes on Earth and it takes good planning and preparation to take on the hostile environment. The expedition was a great success with findings including what appears to be three new dinosaur species. 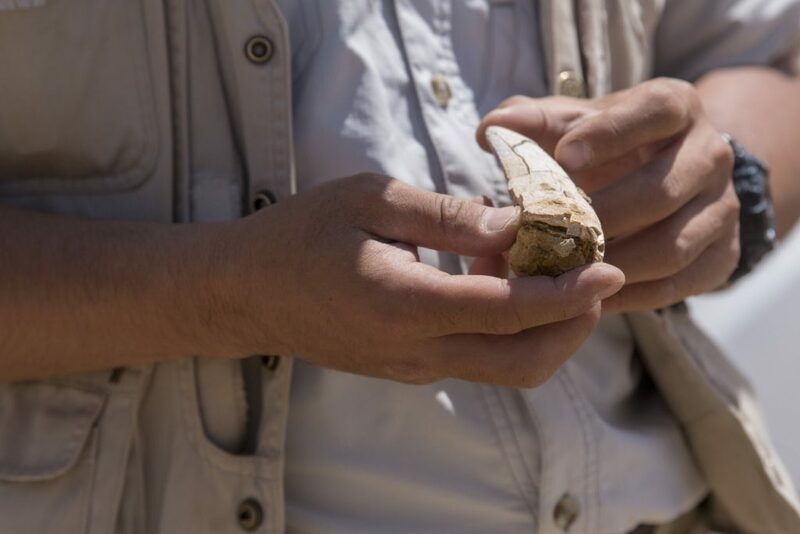 The fossils need further research before it can be fully confirmed if they are previously unknown species, and if so, what kind of animals they were. We asked Matt Prior a few questions about the expedition. 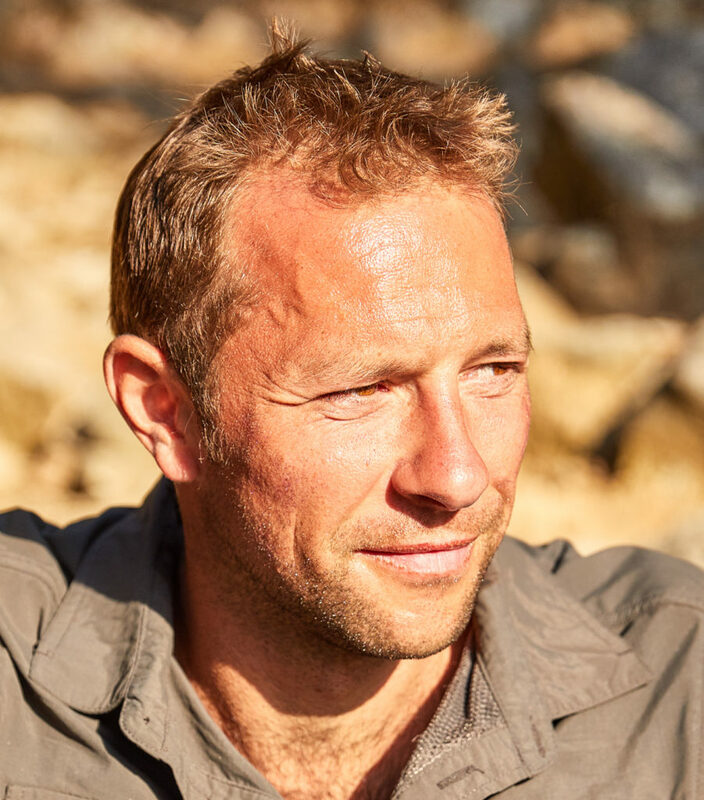 Occupation: I?m a full time professional pilot and in my spare time I run three separate businesses in the outdoor industry using experiences to positively impact peoples lives. I?m also the Director of The Explorers Club Hong Kong Chapter. Matt, you?re a pilot, adventurer and explorer. What drives you? Curiosity, unanswered questions, fascination with other people and places and exploring what?s possible by pushing boundaries and challenging existing beliefs and conventions. I?m drawn to things that haven?t been done before or that people say are impossible. You just got back from an expedition in Mongolia. Can you tell us a little bit about that expedition and how you got involved? The idea for the expedition came off the back of a few beers as with these sorts of things! Myself and the Chapter Chairman, Michael, were discussing our plans for the future and both of us really wanted to explore the Gobi desert as neither of us had been before and the environment fascinated us both. From there we researched Roy Chapman Andrews, a member of The Explorers Club himself, a famous explorer from the early 20th century and the first to use motorized vehicles for exploration. He was also the first to uncover dinosaur fossils out in the Gobi desert. He explored and mapped Mongolia for over a decade. 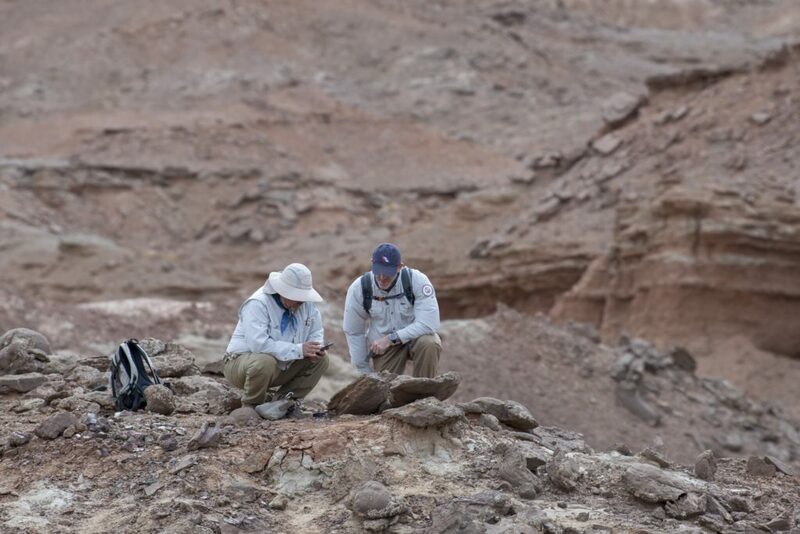 We thought it would be great to celebrate his achievements but also see what we could achieve 100 years on in a much shorter timescale bringing together the expertise of the Mongolian Institute of Paleontology and Geology and the latest 3D mapping techniques used by NASA to explore Mars. From there we solidified a plan, zeroed in on our main areas of interest and then worked out a method of achieving our desired outcomes in the most effective and efficient way. It was important to us that we took a collaborative approach so we could draw on each of our expertise but also not take such an old school, colonial approach. We felt this modern approach of collaboration rather than conquest would be more effective and empowering and the results speak for themselves. 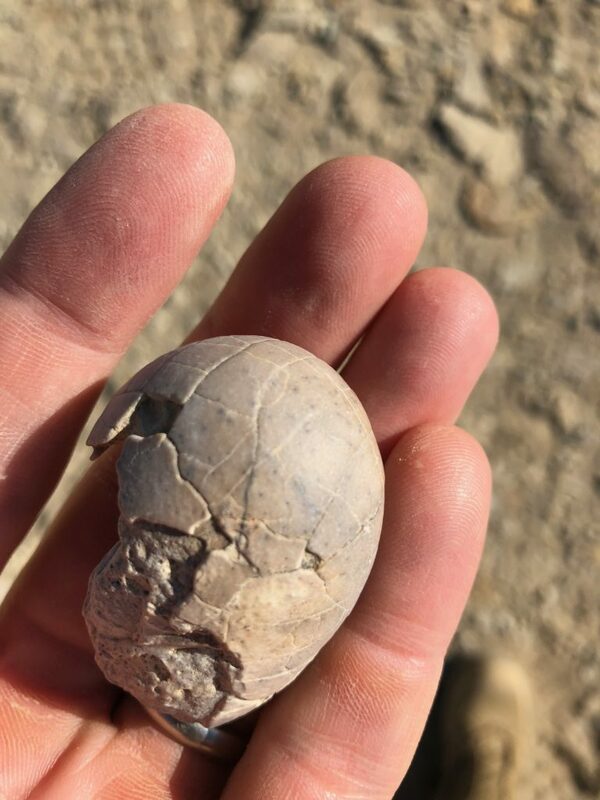 Despite a roller coaster of events including scorpion bites, poisonous spiders and a broken bone, we managed to uncover over 250 new fossil sites, potentially three new species and have found at least five whole new areas for future prospecting. The new areas have never been considered before and were found by interpreting the combined results the technology and our own discoveries on the ground. We were also able to recreate images taken from 100 years ago and also create a few of our own as a challenge for someone else in 100 years time perhaps. There was an international team working on this project. What are the main challenges of having an international team on an expedition like that and what are the benefits? I think the main challenge when bringing together a team like this is that not many people know one and other, you have a wide spectrum of ages, backgrounds, cultures, working practices and ideas on how to get things done and so you need a plan to ensure everyone is on the same page, you?ve considered everyone?s needs as much as possible and that everyone knows their role and is working towards the same common goal. Standard operating procedures early on helps everything run smoothly. We also wanted everyone to feel part of the team from the beginning and so issued some basic clothing which helped with that inclusion. As small as this sounds it makes a big difference. I also think it?s important when leading these expeditions to stay connected with all team members and remain approachable. That way you?ll get the most of your team and can action their suggestions which invariably always help and are beneficial to all. There can still sometimes be miscommunication and misunderstandings but I think it?s how you deal with these going forward, learning from them and trying to mitigate against them in the future. That way you have a solid team, able adapt and overcome regardless of what happens which is far more important than thinking you have a perfect team where nothing can go wrong because it will and it?s how you deal with it that?s important. In terms of benefits, there?s countless benefits to working with a multidisciplinary diverse team from all over the world. You can draw on that expertise, look at challenges from all sorts of different angles, deploy the various strengths as and when required and generally push forward with an open, global mindset rather than a one dimensional, sometimes arrogant or naive approach which I think some teams or countries tend to follow. I think working with team such as this is great for continuing to learn, continuing to challenge and question and continuing to develop relationships and friendships for the future. It also helps with perspective which is always good when going forward with new projects and ideas. All of which makes the world go round and you never know when paths my cross again. In fact one of the mapping guys, Drew, was a friend of mine from back in 2011 when we drove a London taxi around the world and up to Everest Camp and so, as Steve Jobs said, you just never know how all the dots will eventually connect! We have another expedition lined up for next year as we had some time to discuss future plans and because we enjoy working with each other on projects such as these and are able to deliver on what we say we will, why not! You were working in extreme conditions, can you describe these conditions and what the main challenges were? I love working in extreme environments as it makes you feel alive but also tests you and the team to the limit sometimes whilst making you really think about the most efficient and effective ways of doing everything. 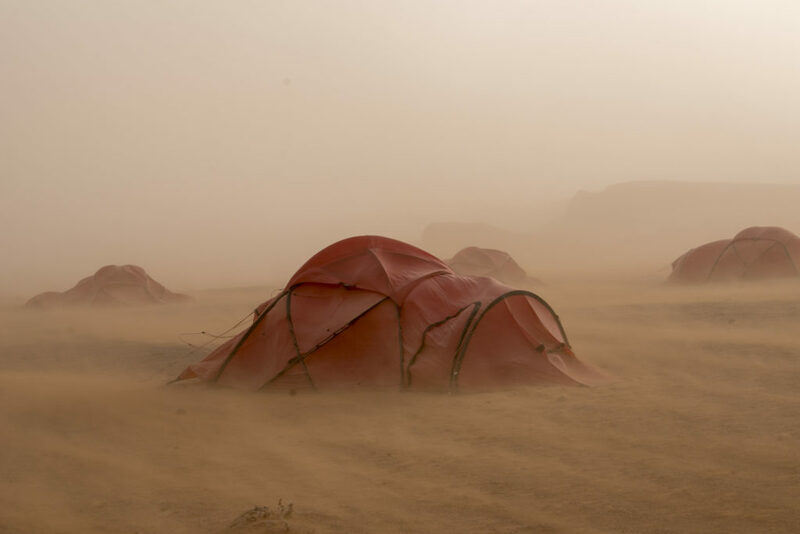 I think one of the main challenges was the unpredictability of the weather out there, one minute it was a glorious day, then it can become unbearably hot and then extremely windy, with frequent sandstorms and sometimes a combination of all of the above! It is possible to experience snow storms at that time of the year as well but we were fortunate on this occasion. In the evenings it can get bitterly cold at night and so all this would need to be thought about ahead of time. A proactive approach is far more sensible than a reactive approach in these environments. Sometimes reactive just isn?t good enough. I think communication outside during a snowstorm or sandstorm can sometimes be tricky but as with anything slowing things down, taking a relaxed, sensible and well thought out approach to each challenge will always produce a viable solution. 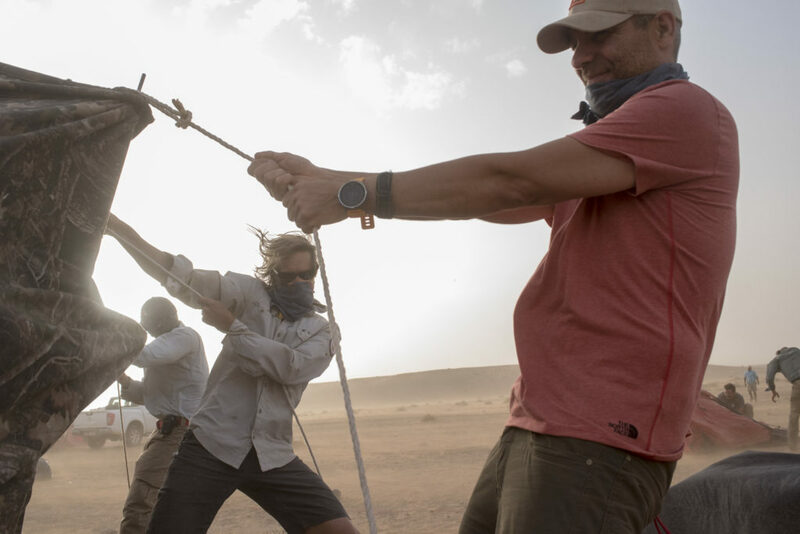 A lot of the technology we took did take a battering due to the heat, sand and wind and the combination of all three but we did enough to protect the vital kit and had enough redundancy to ensure the mission was not jeopardized. We also suffered many punctures due to the harsh nature of the terrain on the 4x4s, ATVs and fat bikes but again we had enough spares and expertise to deal with these as we knew this was going to be a challenge. 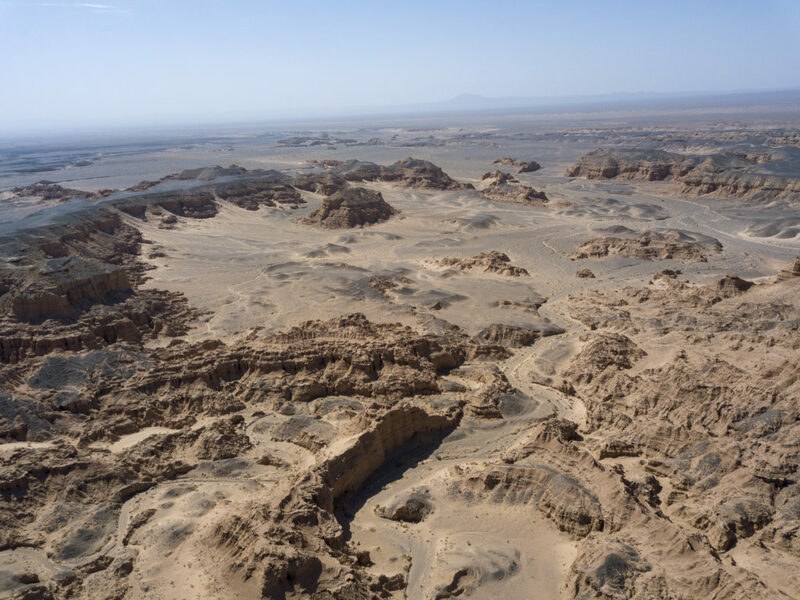 The Gobi desert is one of the least hospitable environments on Earth with extreme heats and cold, and maybe one of the few places on our planet that simulate conditions on other planets like Mars. Can you tell us about the equipment you were using, why you chose that equipment and how you used it? I think there?s probably a little too much to cover in this one answer but every single piece of equipment was thought about in detail in terms of; would it hold up in the environment you?ve just described, the ease of operability and portability and how useful would it be to the team. For example, anything that had multiple uses for various different team members for different reasons would be prioritized above any single use items unless those single use items were critical to mission success and even then, they were discussed in detail and all other options considered. I think the main things we focused on were basic survival, working conditions and then the actual equipment to assist in getting the job done. All equipment was tested beforehand to ensure we could get straight down to the task in hand and we wouldn?t have any issues. This ensured that everyone was competent and no time was wasted out in the field. This also ensured any kit that we thought would be useful but turned out not to be was not taken as we wanted to be as lean as possible as we were moving quite frequently. The team found an specimen of tarbosaurus, the Asian sister species to Tyranosaurus Rex. The tarbosaurus is smaller than the T-Rex but this example seems to be the largest found of the tarbosaurus. There were several as you can imagine with any expedition of the this nature and magnitude. Firstly, to actually see an idea like this go from its initial stages come to fruition after being involved in all the hard work behind the scenes is always a great feeling. I think the other major highlight for me was seeing how well the team performed together, spirits remained high regardless of what they came up against and seeing such a spectrum of professionals all coming together on a multi disciplinary expedition in this sort of environment working towards common goals is really fulfilling and exciting in terms of setting the stage for what?s next. I think a lot of this success comes down to who is actually part of the team before you set off and considering team dynamics and who is there and why. Obviously it goes without saying actually discovering dinosaur bones between 70-120 million years old is very special and not something I?ll forget in a hurry! Especially the new species! It?s almost surreal to be honest. Especially one of the areas we explored. It was so rich in fossils that it felt like a kid in a candy shop! As an adventurer and explorer what fascinates you most about the new space era? It?s still very much unexplored, we?re nowhere near to even scratching the surface. Theories are being disproved all the time as we gain more knowledge and the limitless possibilities to push the boundaries of humanity and further our knowledge are all very attractive to me. I see space as the ultimate environment and one I?d love it to become a much larger part of my life going forward.